Travelling from Podgorica to Split is a Journey – To Say the Least! 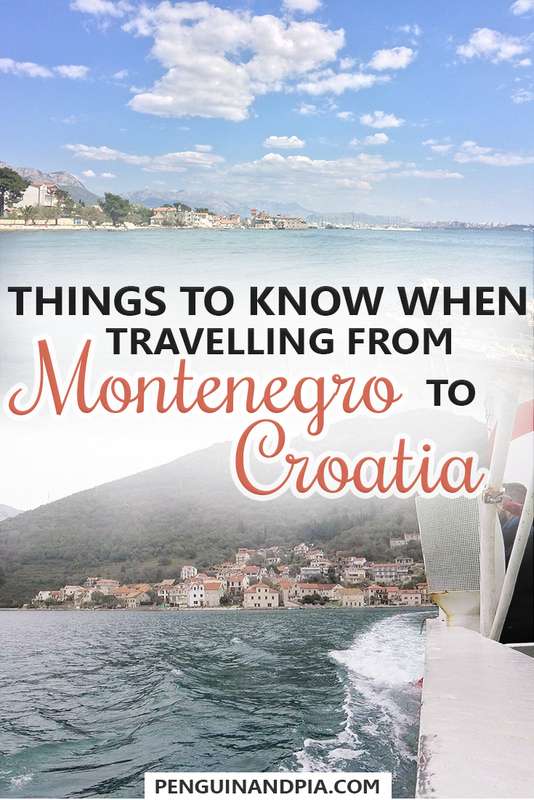 If you need to get from Montenegro to Croatia, this is the post for you. We’ve done the journey between the countries a few times now, and taken various routes there and back. If you wanted to go from Podgorica to Split by train, our research told us that the journey would include a roundabout way of getting there. To be honest, the websites sort of give you the run around and then just say “go to the correct website for the country’s rail or transport” so it’s not overly helpful or clear to take the train. Travelling from Podgorica to Dubrovnik wouldn’t be as long to Split but the bus would still take a few hours. If you were to drive, the distance from Podgorica to Split is about 350 km by car and that would take you from Montenegro clean through Bosnia and Herzegovina and into Croatia. The journey would take about 5.5 hours but it’s certainly doable. You’d have to account for the border crossings when you enter and leave these countries since some are in the EU (Croatia) and Montenegro and Bosnia aren’t. Sometimes it could also be difficult to get a rental car as your drop-off destination would be in a different country. In short, if you want to get from Podgorica to Split and don’t have a car available, you’ll have to take the bus. You can check the bus times at bustickets4.me or getbybus.com. We bought the tickets the day before or the day of travel as sometimes it wasn’t even possible to book them in advance. Our total trip from Podgorica to Split involved 3 buses, 4 border crossing, and 1 ferry ride – so read on if you want to hear about or experience in more detail. Time: The journey took approx. 3 hours. Originally, we flew into Podgorica from Budapest. For the record, we enjoyed Podgorica and you can read our thoughts on the capital here. After staying in Podgorica for a night, we took a bus from Podgorica to Herceg Novi. While we probably could have also taken a bus from Podgorica to Dubrovnik we decided to stop in the beautiful seaside town and explore Herceg Novi for a couple days. We would really recommend stopping in and seeing Herceg Novi if you have the time! Here’s our guide on things to do in Herceg Novi! The bus ride from Podgorica to Herceg Novi was really easy. We bought the tickets the day before at the machine in the Podgorica bus station which was pretty straightforward. We could have also just bought them right before departure but sometimes we like to have things locked in a little bit early. The bus station in Podgorica is quite small but pretty well organized, so you’ll be able to figure everything out quickly. There are many different bus companies running the same route. On your ticket it will say which bus company you are going with and from which platform the bus will depart – so you shouldn’t have any problems finding the correct one. For our departure time, we actually had a real bus but sometimes they are also minibuses depending on the time of day and route. At first, we weren’t sure why the journey would take that long but once we realized we were basically going through the mountains and along windy roads with high winds, it made loads of sense during the journey! You’ll get some pretty amazing views on the way – so just enjoy your ride! Oh, and on the way we also had a short ferry ride which was a total surprise but pretty awesome! 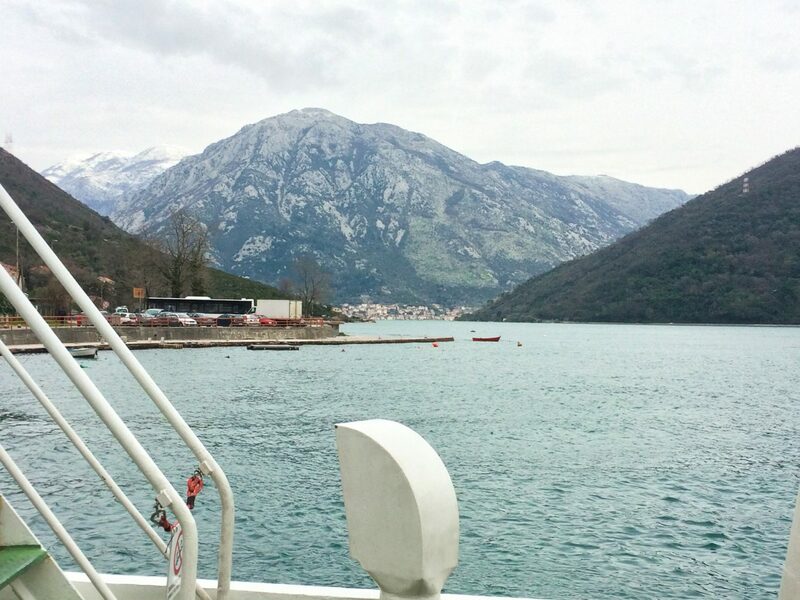 Watch the video below to see more of our ferry ride crossing the Bay of Kotor. Alternatively, you can also watch the video on our YouTube Channel here. The second part of the journey took us from Herceg Novi to Dubrovnik a couple of days later. We bought the bus tickets the morning of the trip right before departure. This was because the lady behind the counter had previously told us that the tickets could only be purchased 30 min before departure. The detail that makes this ride longer than it should be are the border crossings. We travelled in low season with only a few people on our bus but we can only imagine that in the high season with more buses – and more travellers per bus – that these crossings are a nightmare. 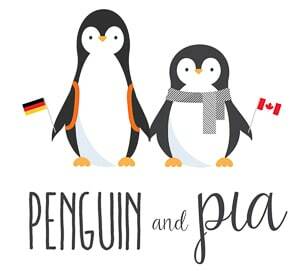 We’d recommend leaving plenty of time for flights, check-ins, etc if you’re travelling in the summer and have to cross these borders. First, we crossed the border leaving Montenegro. Everyone had to leave the bus and line up at the checkpoint to have our passports checked and stamped. The border guards were pretty nice and nobody had any issues. Like we said, there were less than 20 people on the bus overall, so it didn’t take forever. But again, just in case – make sure to plan some time for delays if you continue your journey after Dubrovnik. Then we drove for approx. 5 minutes and reached another border point – this one was for entering Croatia. Once again, everyone had to leave the bus and line up in front of the checkpoint. We all got through just fine and didn’t have any problems. Having not been used to land border crossings anymore since we generally fly between countries or travel within the Schengen Zone, these crossings were definitely an experience. We arrived in Dubrovnik pretty much right on time – and you can read up on things to do in Dubrovnik if you are sticking around. More Balkan Buses – Heading Back to Montenegro? 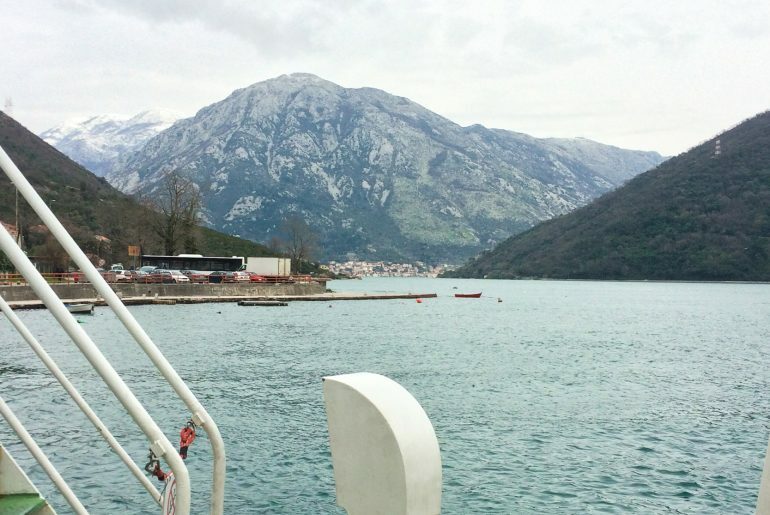 Here’s the Journey from Dubrovnik to Kotor! The last part of the journey took us from Dubrovnik to Split. Usually, we like to plan ahead as much as we can, but with the early bus from Herceg Novi and potential delays, we weren’t sure which bus to take to Split. We also didn’t have a printer and if you buy tickets online most of them have to be printed out. We decided to figure it out once we actually got to Dubrovnik. While this was unusual for us, looking back it was the best decision. Originally, we had planned to take a bus at 12:30 pm but when we asked at the ticket window about the next available bus to Split, we found out that there was one 10 minutes later. Funny enough, it was the same bus from our Herceg Novi to Dubrovnik trip. So back on the bus we went! We couldn’t pay for the tickets with a credit card and didn’t have any Croatian Kuna yet, but thankfully there was an ATM right at the bus station. The drive was great. We drove along the curvy coast which made for beautiful views. We found out after that this drive is actually called the Jadranska Magistrala – which we talk about in our top things to do in Croatia post! Be sure to sit on the driver side of the bus to get great views of the water. Lisa admittedly felt slightly nauseous from all the curves, but it wasn’t too bad. In case you didn’t know, there is a tiny part of Bosnia and Herzegovina that actually reaches out to the coast – and thus it actually physically separates Croatia into two parts. So, if you go from Dubrovnik to Split, you’ll, therefore, have to pass two border checkpoints “in” and “out” of Bosnia. No joke. This time we didn’t have to leave the bus, though. An officer simply came onto the bus and collected all of our passports/ID-cards. He then brought them back after a few minutes. Simple! We were officially in Bosnia and actually touched Bosnian ground since the bus took a break at one of the parking lots. We got a 15 minute break and there was also a supermarket where some people bought snacks. Overall you drive for less than 30 minutes through Bosnia before you hit the second border crossing to leave Bosnia. Once again, an officer came on, collected our passports and brought them back after a few minutes. Pretty easy – and our fourth border checkpoint of the day – definitely a record for us! The rest of the journey was pretty uneventful. We passed some nice looking towns and villages and arrived in Split more or less on time. And there you have it – our journey from Podgorica to Split. In general, when it was broken up into chunks the trip was much more manageable. We’d recommend to do it more slowly if you have the opportunity! You might even consider planning your own Croatia road trip! There are some beautiful towns to see along the way that are worth a stop and even a night’s stay. If you have any questions about routes, feel free to get in touch! We’re happy to shoot around ideas with you about Balkan travel!